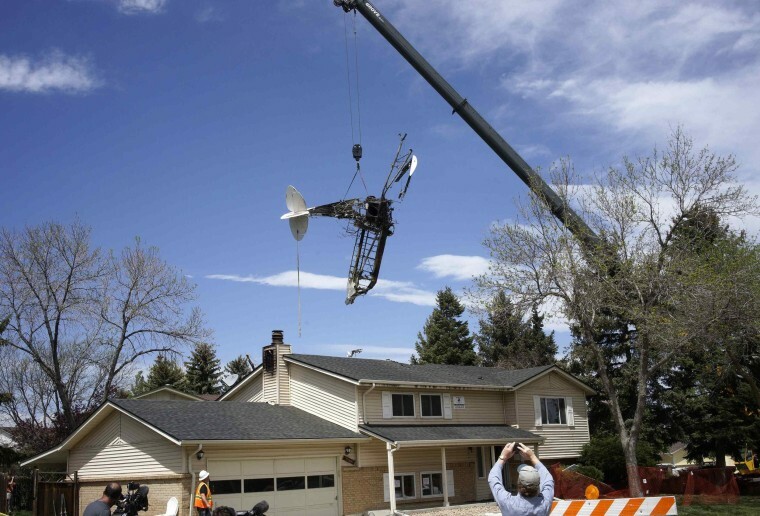 Crews removed an airplane's wreckage from a house Tuesday after it crashed in a Denver suburb. The pilot walked away uninjured after the aircraft crashed into an unoccupied home in Northglenn, Colo., on Monday afternoon, setting the building on fire, authorities said. The single-engine airplane was pulling an advertising banner.